Brazil’s Minister of Agriculture, Livestock and Food Supply, Blairo Maggi, has announced plans to visit the UAE and Saudi Arabia to reassure the countries on the safety of Brazilian meat and poultry products. The visit follows the ‘Operation Carne Fraca’ (Operation Weak Flesh) organised by the Federal Police of Brazil to investigate some of the country’s largest meat processing companies and subsequent ban on the import of Brazilian meat and poultry products by some countries, said a statement. The Minister will hold talks with his counterparts in these countries to reinforce Brazil’s reputation as a leading meat exporting country, it added. Brazil is a primary exporter of meat and poultry products to the GCC, including the UAE and Saudi Arabia. According to statistics released by the Brazil Ministry of Industry, Foreign Trade and Services, the South American nation shipped nearly $1.3 billion worth of meat and poultry products to Saudi Arabia and $578 million to the UAE. The two Arab countries have not imposed a blanket ban on imports. However, they have stopped purchasing from some of the 21 companies being probed – four in the Saudi Arabia and six in the UAE – because of unhealthy production practices. 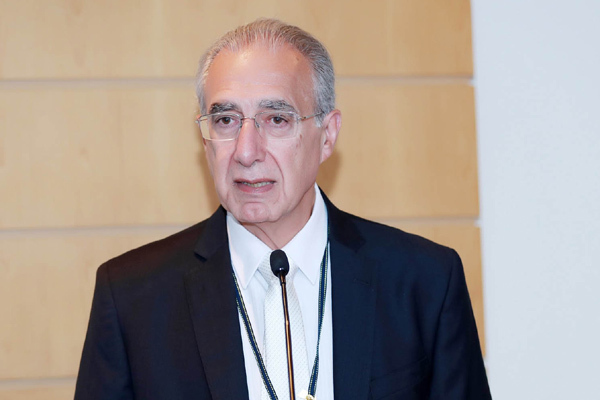 Rubens Hannun, president of the Arab-Brazilian Chamber of Commerce, said: “Brazil follows strict health and safety procedures in food production, including for meat which remains a major export despite the recent issue. The government has taken swift measures to rectify the situation, implement stronger safety and health protocols, and ensure more transparency to maintain the highest international food safety standards for all traded meat and poultry. “Minister Maggi’s visit to the KSA and the UAE is a strategic move to assure the premium quality of Brazilian products entering these markets which have continued to show their trust in Brazil’s meat industry,” Hannun said. Brazil’s Secretary for Agricultural Defense Luis Eduardo Rangel recently met Dr Koen Van Dyck, directorate general for health and food Safety (DG Sante) at the European Commission, to assure him that food quality and sanity controls are being upheld in the country.